This ad for the laser-slingers down at Vision Eye Institute serves as a great reminder about the importance of considering your audience. While outdoor may not be the most targeted medium, buying media on the back of a bus does guarantee you one thing – that you’ll get your message in front of drivers. What’s alarming is that this ad seems based on the insight that Sydney’s vision-impaired drivers will still get behind the wheel even if they don’t have their glasses with them. More confusing from an advertiser’s perspective is this though: if the target audience really have forgotten their glasses, wouldn’t they have a hard time reading the ad in the first place? 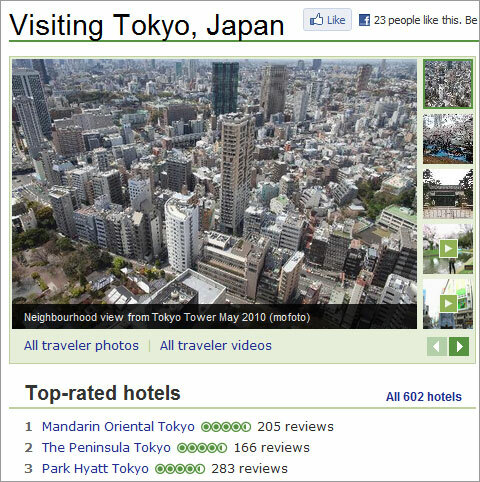 I’m currently planning a trip to Japan and seem to be spending an alarming amount of time on TripAdvisor. As any TripAdvisor addict will attest, trying to choose between hotels can soon result in a state of analysis paralysis. Everyone has their own criteria when it comes to choosing hotels (a pillow menu isn’t really a deal-breaker for me), however, conventional wisdom dictates that our decisions should be based on whether the positive reviews broadly outweigh the negatives – right? According to some recent research published in the Journal of Consumer Research, not exactly. While the overall sentiment of reviews is obviously important, our decisions are also being subtly influenced by how specific these comments are. For example, in one study, people try out either Bic pens (which people tend to think of as cheap and low quality) or Parker pens (which people tend to think of as expensive and high quality). The pens were manipulated so that they did not work. Then, they had to pick a statement that best described their feeling about the pen. For the Bic pen, people selected abstract statements (like “This Bic pen is bad”). For the Parker pen, people selected more specific statements (like “This Parker pen would not write”). So far, so straightforward – it’s common sense that our existing prejudices would play a role in the way we review products. More interesting in the context of social media is how this phenomenon affects the readers of these comments. The next phase of the study focused on the influence comments had the purchasing intention of others who read them. It found that positive comments were more likely to motivate others to buy when they were abstract in nature (e.g ‘this pen is great’) as opposed to specific (e.g ‘this pen writes well’). Similarly, negative comments were less damaging to purchasing intention when they were specific in nature (eg ‘this pen writes badly’) than when they were more abstract (eg ‘this pen is awful’). Just as reviewers do not consciously choose abstract or specific language based on their desire to influence, most of us do not consciously place more emphasis on reviews that are abstract as opposed to specific. However, even if we are oblivious to these nuances, the research suggests that the phrasing of these reviews can be highly influential. This has implications for way we analyse attitudes to our brands online. Automated sentiment analysis tools – already compromised by their inability to detect sarcasm – fail to take into account the way language choices influence the reader. These findings suggest that by taking a deeper look at the way people phrase their reviews we might be able to gain some interesting insights into their broader attitudes about the brand or category and tailor our response accordingly. The research is also relevant to the way we encourage people to talk about our brands online. More progressive companies are starting to aggregate social media mentions and reviews on their own sites – even when they these are critical about their products. While brands shouldn’t attempt to manipulate the content of these reviews, this research suggests that the way we frame the debate is worth some thought, particularly given that most decision making is based on minimising risk rather than optimising choice. When much of the internet seems dedicated to earnest posts detailing ’10 ways to double your blog traffic in five minutes’, it’s refreshing to hear an example of someone whose online popularity was completely accidental. Gregory Levey’s article on The Nervous Breakdown (thanks to Big C for this) explains how he created a Facebook group to promote his book “Shut Up, I’m Talking”, a memoir about his time as a speechwriter for the Israeli government. Levey saw his Facebook fans grow from about a hundred friends and family to over 750,000 – significantly more than better known authors such as JK Rowling (95,000) and Dan Brown (499,000). They were the sort of people, I soon discovered, who were also fans of such inane but popular Facebook fan pages as “Punching Things” and “I hate it when I get fingerprints all over my phone.” But each time one of them would become a fan of Shut Up, I’m Talking, their circle of Facebook friends would blindly do the same – causing its frighteningly viral spread. If Levey were to message his 750,000 fans via Facebook, he’d surely pick up some extra sales. However, given that few expressed any interest in middle eastern politics, his conversion rate would probably be fairly low. Levey’s experience is a great example of how, contrary to the claims of viral agencies and e-book peddlers, building a following can be a pretty unpredictable affair. Furthermore, a successful online community has more to do with quality than quantity. 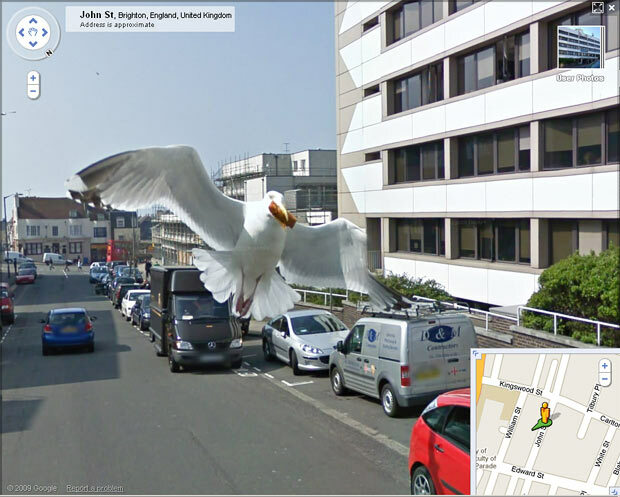 Last week I stumbled across this superb Google Street View image capturing an audacious seagull making a quick getaway after stealing a chip in John Street, Brighton. For more of Street View’s accidental heroes check out this collection from the Huffington Post. UPDATE 14/05/2010: Interestingly Google (under pressure from Brighton & Hove City Council?) seem to have photoshopped out the offending seagull from StreetView, so I’ve replaced it with a screenshot. 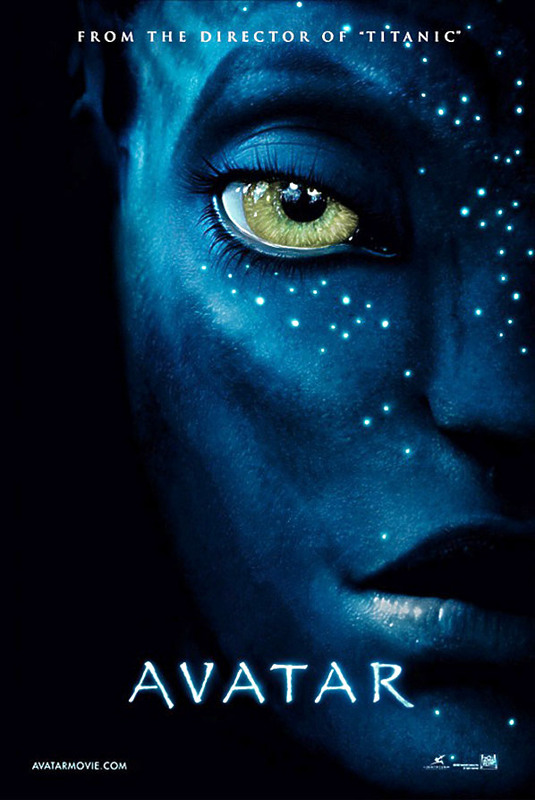 In The Long Tail, Chris Anderson persuasively argued that the internet is facilitating a shift from mainstream hits towards increasingly niche interests, however, the continuing popularity of blockbusters such as Avatar suggests that the hits are as popular as ever. More interestingly, the experience of ‘long tail’ companies such as Netflix indicates that contrary to conventional wisdom, the engaged customers aren’t always the most satisfied. It is logical to assume that, given the breadth of movies offered by a service like Netflix, customers with a specialist interest in films would get more pleasure from the DVDs they choose than your average punter. However, according to The Economist, the reverse is true. A Wharton Business School study analysing reviews on Netflix found that blockbusters get better ratings from the people who have watched them than more obscure titles – even Transformers: Revenge of the Fallen, which was consistently slammed by the critics, is awarded four stars out of five. Another study by Harvard Business School apparently found a similar story on Quickflix, the Australian equivalent. So why do hits continue to be so popular? 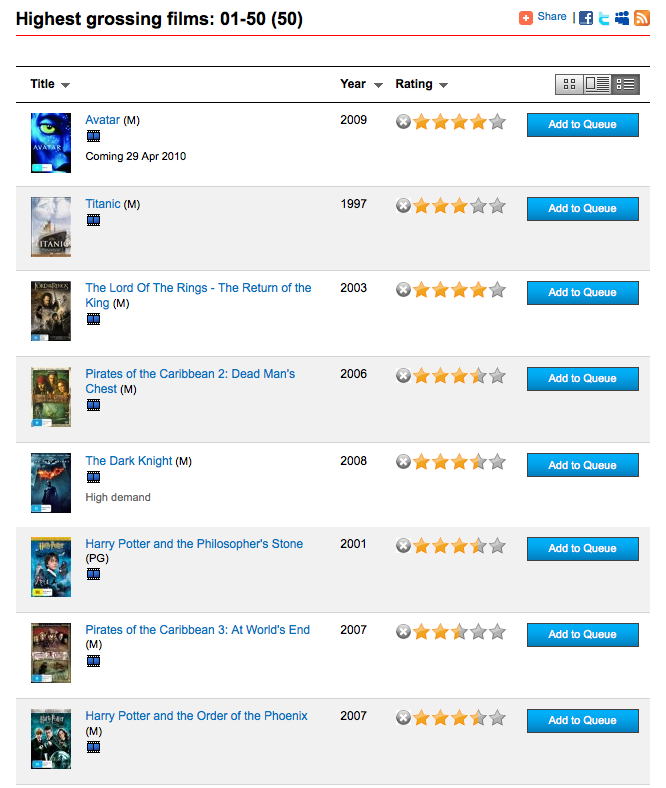 Indeed, my initial interest in the dynamics of DVD ratings was sparked by my own slightly frustrating experience with Quickflix, which seems in line with the findings of the above studies. 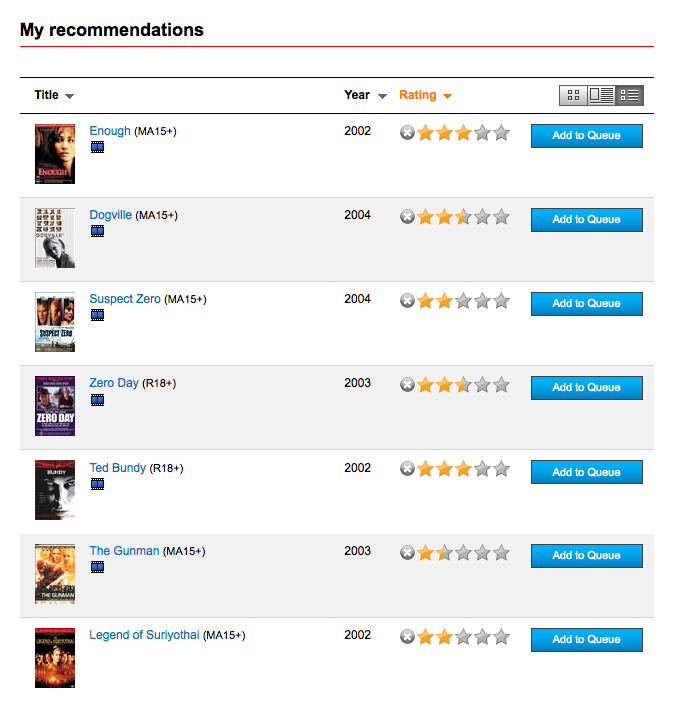 As someone who watches quite a broad range of movies, I started noticing that most of the fairly obscure titles I am recommended by Quickflix seem to be rated no higher than two to three stars, while blockbusters typically receive three or four stars minimum. The result: rather than encouraging users further down the long tail, the current user-powered recommendations may in fact be reinforcing the tyranny of the hit. With the amount of content on the internet predicted to double roughly every five years, we’re clearly not short of information to help us make these decisions. However, as Barry Schwartz’s The Paradox of Choice suggested, greater choice has been shown to make decision-making more complex and ultimately less satisfying. Arguably many of us gravitate to the familiar in order to avoid being overwhelmed by the amount of information at our disposal, subconsciously screening out options that require further investigation. According to Rory Sutherland, this is because, except in a few areas of specialist interest, minimising risk has a far greater influence on our decision-making than optimising choice. And if minimising risk is driving our decision-making, it is likely that we are applying similar criteria to rating what we bought. The success of retailers such as Amazon demonstrates that serving niche interests can be an incredibly lucrative growth strategy. However, as marketers continue to evangelise the benefits of deeper customer engagement, it’s important to remember that these highly engaged customers can also be the hardest to please. UPDATE 14/04/10: An article in FastCompany reveals that Zappos’ best customers return around 50% of the goods they buy, compared to an average return rate of roughly 35%. However, while free return shipping may make these customers more expensive to service, by reducing the risk of a bad decision, it encourages them to spend significantly more overall. What’s the difference between remixing and piracy? There was a great film on SBS last night called Rip: A Remix Manifesto. The documentary follows filmaker Brett Gaylor and mash-up producer Girl Talk as they travel the world to fight for their right to party and poke fun at the litigious nature of major record labels. Interestingly, the filmaker has also posted the footage online and is encouraging others to download it, pay whatever they choose (a la Radiohead) and then remix it themsleves. 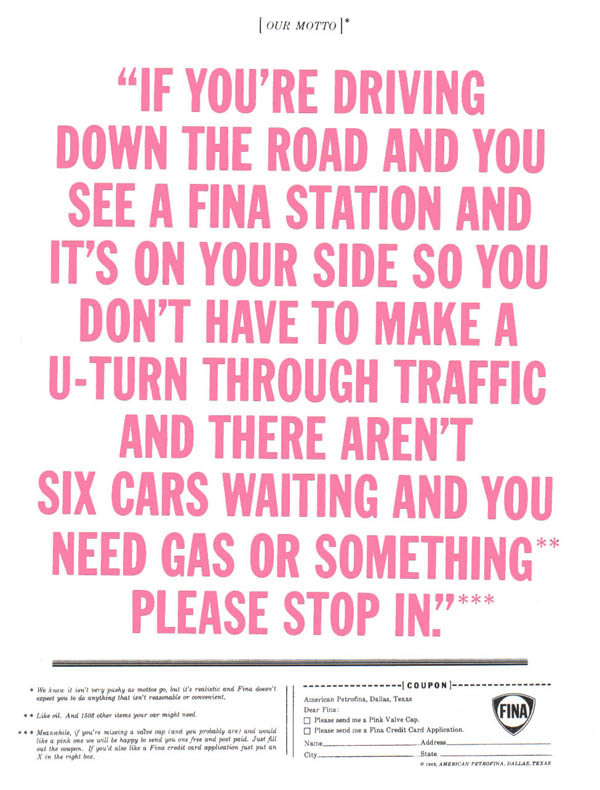 The first point is communicated in a particularly engaging and persuasive fashion. Whether it’s a modern adaptation of Shakespeare or sampling the Rolling Stones, reworking established themes is ingrained in cultural progress and often inspires new audiences to discover the original artist. While I’ve always been a big fan of the remix, sadly at times the film runs the risk of confusing the case for creative sampling with straight-forward copying. Sure, the record companies missed a huge opportunity around digital distribution and have handled the rise of illegal file sharing badly. But even if many of us have taken advantage of peer-to-peer file sharing, ultimately I think we recognise that artists need to get paid for the music they produce. Regardless of your views on Britney Spears, prosecuting a 15 year old girl for downloading her music is clearly not the answer. But neither is simply championing our right to download whatever we want for free. Sustaining a culture of creativity means finding ways to reward those that create. And that means labels and artists embracing a model that offers easier access to music at a fair price, one that reflects the reduced cost of digital distribution. Think Spotify..
Watch the first part of Rip! A Remix Manifesto above, or check out the whole film here. The word ‘engagement’ gets used a lot by marketers these days – in fact a few new synonyms would be helpful for the digital strategy I’m working on at the moment. For a lot of brands, creating content that consumers want to engage with is absolutely the right approach, particularly if it’s around a shared passion or topic that people actively want to discuss. However, it’s easy to forget that in many of the purchasing decisions we make every day, we don’t want to be engaged, we just want to get it done with minimal fuss. “If you are an expert in a field, you are a maximiser. Your car is Teutonic. You listen to relatively obscure Indie music. You wear niche clothes brands, like those funny jeans with a wiggle on them…But most people tend to be maximisers in a few areas only – for most of us it’s simply too much intellectual effort to compete in every field. This doesn’t mean do nothing. Using compelling content to increase your online visibility and credibility can be a great way of engaging the ‘maximisers’ while also making you seem less risky in the eyes of the ‘satisficers’. Ultimately, it’s about understanding your different audiences and tailoring messaging accordingly. And as the the Fina ad cleverly acknowledges, it’s worth remembering that most of these people probably don’t care as much about your brand as you do.